Ranted By: Larry Walker, Jr.
Obama’s progressive form of economic change is destroying America. 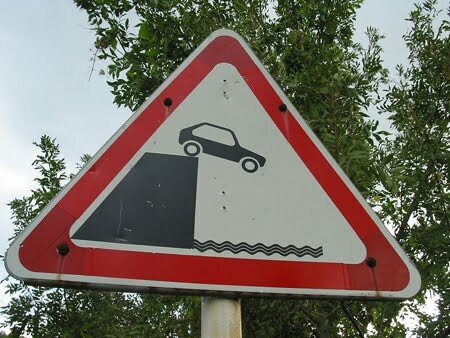 Not only does he threaten to hoard the keys, but to thrust the car over a cliff. Specifically, the effect of his policies on productivity, government subsidies, tax credits, class warfare, income taxes, and government spending is doing more harm to America than the Great Recession ever could. In the private sector, when you want to motivate a workforce you offer them things like more time off, bonuses, or stock ownership. In other words you offer them something in exchange for something. The Obama administration offers nothing for those who work hard. With Obama, if you work hard, you receive the reward of paying higher taxes, fees and fines to support those who don’t work as hard, or at all. If I told my employees that next year, the lowest paid would be getting a 50% decrease in pay, and the more highly paid would receive a 10% pay cut, would they work harder? No. In the real world they would quit immediately, hang around while looking for another job, or simply decrease their performance in line with the coming downgrade. Isn’t this what Obama is doing by proffering a tax hike for those who are working hard, paying their bills on time, and in essence supporting everyone else? Now let’s take a person who has been unemployed for a year and is about to lose their home. They haven’t really looked for work because they’re on 99 weeks of unemployment, courtesy of Obama, and they expect the government to step in and make up the back payments on their home. Why should this person work when they can live off of less and still get by? Their plan is to start looking for work again when all the free government benefits run out. This person has in effect been given a government subsidy not to work, at the expense of those who are working. When my teenagers can go out and find jobs in this economy, I find it hard to believe that there are no jobs. One of them gets up at 5:00 AM and goes off to bake bread, while moochers stay home to collect free checks. Why do my kids work? Because their mother told them they must either work, or get out of the house. That’s the kind of incentive that will either make you or break you. Implying that we somehow need illegal immigrants to perform undesirable work, because Americans won’t is a sad, sad excuse. At a time when home prices had fallen between 30 to 50% in some Georgia communities, in stepped the federal government with an $8,000 refundable tax credit for first time homebuyers. Initially the credit was only $7,500 and had to be repaid over a 15 year period. People were already buying houses at the time, and were turning down the initial credit because it had to be repaid, so the government, in its wisdom, made it a giveaway. Did potential buyers really need an additional incentive beyond the existing 30-50% discount? What about the hardworking folks down the street who were left paying for their largest, and now most devalued, asset? Prices may have eventually recovered on their own had fewer houses been sold in the trough, but through government intervention, now all of our houses have been hopelessly devalued. Those who received the tax credit also received the bonus of equity in their homes, while those who hung on through tough times got screwed. The Obama administration talks a lot about the “haves” and “have-nots”. It seems there are a lot more have-nots today, than there were in January of 2009 (roughly 6.4 million more). Those who still have a job, a business, or some savings (things that they worked hard to achieve) are the new haves. The have-nots are those who are victims of an economy, hindered by the federal government. In many cases, the have-nots are the direct victims of the federal government. Instead of motivating people to get off of unemployment, welfare, subsidized housing and food stamps, the government is increasing these programs and fostering the entitlement mentality. What incentive is there for one of these, government-made, have-nots to ever claw their way out? If working means giving half of ones labor to the government, then why even try? I was looking over a client’s job situation recently. The conclusion was that if she accepts the proposed contract, she and her husband will be in a position where every additional dollar she earns, for the rest of the year, will be subject to 50% in federal, self-employment, and State taxes. Is it even worth the effort? If you were offered a contract that would pay you $68,000 in five months, but you had to pay $20,000 in travel expenses to earn it, and then another $24,000 in taxes, leaving you with just $24,000 would you do it? It might be better to just stick closer to home and find a W-2 job paying $30,000. Where is the incentive when the government stands to gain 50% of ones labor? Yet the Obama administration wants to raise taxes. Hell, taxes are already too high. We need additional tax cuts, not an increase. Top tax rates should be cut back down to 28% like they were under Reagan (and even that’s too high). No one in their right mind is going to put forth maximum effort for half. It’s just not going to happen. Many have-nots ponder this same dilemma everyday. 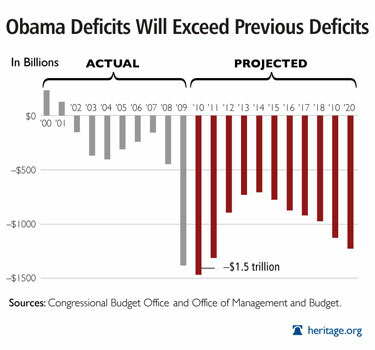 If the Bush tax cuts caused such huge deficits, then how did Obama’s July 2010 budget deficit end up exceeding Bush’s 2007 annual budget deficit, by $5.0 Billion? Will the government ever be able to raise enough tax revenue to cover Obama’s massive spending gap? Let me answer that for you. No. Never in a 1,000 years. The only thing certain about our exploding national debt is that more revenue will eventually be required to cover it. The question is how to increase revenue without further damaging the economy. What’s the solution? We need a conservative resurgence in America. Give us the incentive to produce, take away the subsidy for failure, stop tampering with the free market, and free us that we may lift the have-nots. Reduce income tax rates, and stop spending more than we have. Our present course is destined for failure. The bottom line: Drastically cut the size of government, and don’t just freeze tax rates, cut them. You can’t just cut taxes without a corresponding reduction in spending. It doesn’t work like that. Yet, until taxes are cut, the government will be trapped in providing greater failure subsidies (bailouts), and further destructive interference with the free market. That’s how it works. If you’re not part of the solution, you’re part of the problem. Another, whip of wisdom is this,..
By your wisdom Larry, we are over half way there. America, Own or be owned.